That winter get-away just got easier for our friends in Chicago and Philadelphia! 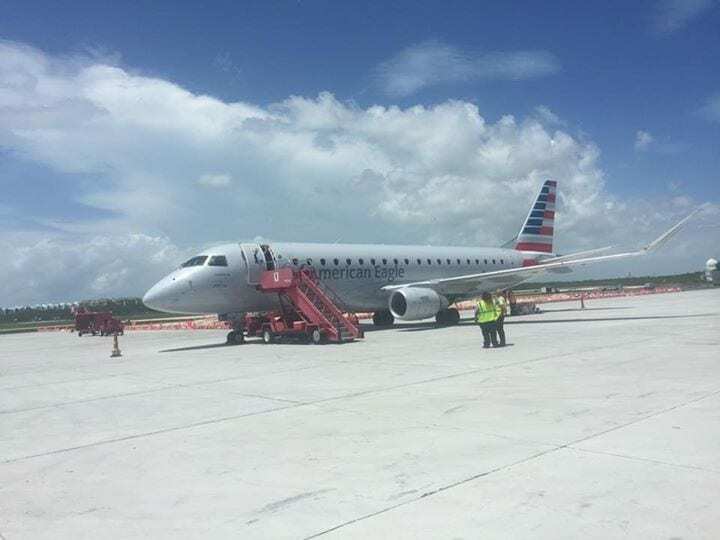 KEY WEST, FL – American Airlines will add two new nonstop services from Key West International Airport to Chicago O’Hare International Airport and to Philadelphia International Airport beginning Saturday, Feb. 16, 2019. Both new routes will operate as weekly flights on Saturdays. They will continue through Aug. 31, 2019. The newly added flights will be operated with Embraer E-175 aircraft that have seating for 12 first class and 64 main cabin passengers. The Chicago to Key West flights are scheduled to depart at 8:20 a.m. and arrive at 1:05 p.m. The Key West to Chicago flights are scheduled to depart at 1:50 p.m. and arrive at 4:45 p.m. The Philadelphia to Key West flights are scheduled to depart at 10:30 a.m. and arrive at 1:36 p.m. The Key West to Philadelphia flights are scheduled to depart at 2:14 p.m. and arrive at 5 p.m.
We’ll just skip the thousand words.A calm Monday evening in the #Lowe... Just to be clear: red tide is not present in the Florida Keys.